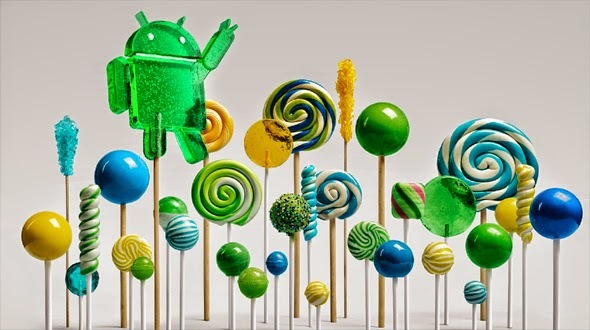 Have got the new Android L for your device? If YES, then tips in the article will help you to do some awesome things with your device. If NO, then please hold on you will get the update and then try these steps. Android L has got awesome look with Google’s Material Design language and added animations. At the first glance of this operating system you will fall in love with it. With some cool looks it has been made user friendly as well, which you might be experiencing it or may be you are unaware. In this article, we are going to look for the five best tips which will help you to get maximum from your device. How to access settings quickly? Finding the setting option and reaching is frustrating, keeping in mind the fact that single swipe simply brings down the notification shade with a list of your notifications and you have to swipe a second time to get into your Quick Settings. But if you want to get straight into those quick settings, without a second swipe, then just swipe down with two fingers instead of one, this is available in Lollipop. If you still hold volume down button to quickly silence your device then that is an old fashion or trick. With Android 5.0 or Android L if you hold volume down the volume will merely go lower without becoming silent. You can tap the bell icon to switch to vibrate only. You can also silence the phone completely, silence your device by pressing the volume rocker and then tapping None, but that means you won’t receive any notifications. With Android L (Android 5.0) you can set up the priority notification via settings > Sound & notification > App notifications, then you’ll have fine – grained control over what notification you receive. You can set or choose None and Priority according to app importance in your device, you can also set it for specific amount of time which is fairly decent for the meetings. You can also schedule the regular Downtime where only Priority notifications come through via Settings > Sound & notification > interruptions. You’ll know when priority mode is on because it will display a star icon in the top-right of the display. The best thing introduced in Android L (Android 5.0) is the integration of Battery saver option, earlier we had to download the third party app for this activity and few brands provided that in there devices. You can access the Battery Saver option under Settings > Battery option. On the Battery screen, simply tap the tree vertical dots in the top right and then choose Battery Saver and toggle it on. You can set it to automatically turn on at 5 or 15 percent if you want. It will kill unnecessary vibrations, limits performance, and stops background data. That means you may need to open apps, e.g., email to sync them. Moreover, the feature will automatically turn itself off when you plug your phone into a charger. How to use Smart Lock? This can be handy and time saver if you lock your phone using PIN, Password, or Pattern lock. The Smart Lock feature in Settings > Security can be used automatically to unlock your device in certain places or when specific Bluetooth or NFC accessories are connected. If you’ve paired your phone with your car’s Bluetooth system or a smartwatch, for instance, then you can set either as a Trusted device and use them to keep you phone or tablet unlocked. You can also set a location, such as your home, as a Trusted place so your devices remain unlocked while you’re there. Hope you have enjoyed the post and these tricks will be helpful for you all. We do understand that few of you must know these tricks or more than listed above, so, if we have missed something please share you tips in comment section below. You can also subscribe to App Gyaan RSS Feed for all the updates directly into your mail box.